A Leeds dog expert has invited owners to bring their pets to Otley Chevin Forest Park on Easter Sunday to hunt for novel prizes. The Easter Super Sniffers Challenge is a free event to encourage owners to properly engage with their dogs when on walks. Large plastic Easter eggs will be hidden around the Park. Most will contain toys for the dogs, but there will also be two special eggs for owners. One will have a £50 gift voucher inside and another a £25 gift voucher. 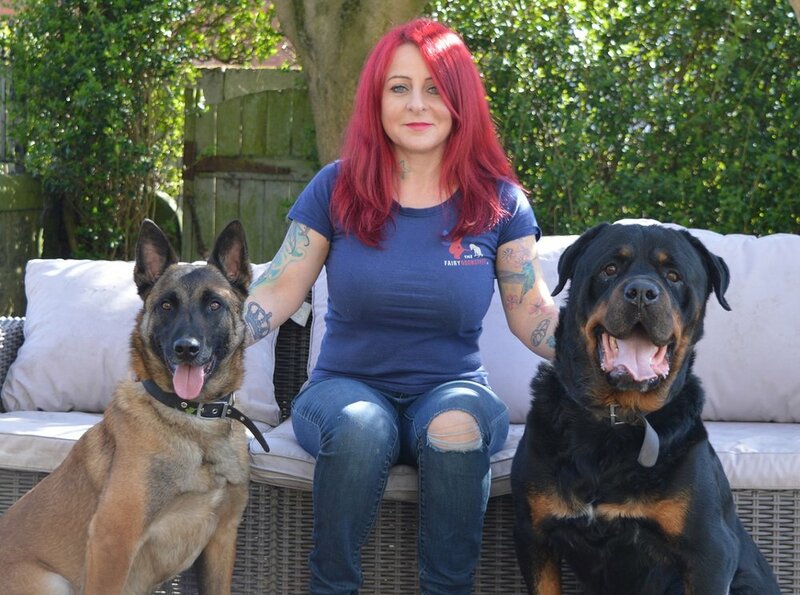 The event has been organised by Yeadon-based dog trainer and behavioural expert Kerry Lawson, also known as the Fairydogmother. “To find the Easter eggs, the dogs will have to use their amazing sense of smell and rely on their owners for encouragement – teamwork is all-important,” she explained. “I will be there to educate owners on how best to coax their dogs to use their noses. Kerry added: “As I explain in my forthcoming book, having a great off-lead dog depends on dogs wanting to be with their owner. This Sunday’s event begins at noon. Unity Homes and Enterprise has increased its presence across Leeds by adding 22 newly-refurbished properties to its affordable housing stock in a £1.25 million investment. Last year, the BME-led housing association completed a deal with the Riverside Group to purchase 12 two-bed semi-detached houses in Harehills and 10 one-bed flats in Pudsey. A major works programme has since been undertaken to fit new kitchens and bathrooms, upgrade central heating and replace windows and external doors. Other improvements include insulation in roof space areas, new smoke and carbon monoxide detectors, energy efficient lightbulbs in all rooms and brick work repointing. Ali Akbor, Chief Executive of Unity Homes and Enterprise, said: “We were delighted to have the opportunity to purchase these homes, following a process of due diligence. “Riverside, which has its headquarters in Liverpool, undertook a national review of its stock and this acquisition made good sense for Unity. “Following the works programme, all 22 homes are now in pristine condition and represent excellent additions to our expanding portfolio in Leeds and beyond. “Unity has long-established Harehills as one of our priority areas and have been active there for many years. “Although we own and manage significant stock in West Leeds, Pudsey is a new and exciting part of the city to be involved with. Mrs Mortimer, who has lived in her flat for more than seven years, was delighted with the improvements. The Unity Chief Executive also called in with Mrs Emerson, who has resided in her Pudsey home for almost three years. She was also pleased with the refurbishment work. Commenting afterwards, Mr Akbor said: “It was a real pleasure to meet both Mrs Mortimer and Mrs Emerson, and to hear their positive feedback. “Unity’s mission is to provide high quality affordable homes, improve people’s lives and help the communities we serve to become more vibrant, inclusive and prosperous. One of the country’s leading vets has called on MPs to “put the country’s future ahead of their own” in tomorrow’s vote on Theresa May’s Brexit deal. He said: “I have a high regard for most of our politicians and believe that, in the main, they try to follow the right course on behalf of the people they have been elected to represent. But the current scenario in Westminster will put that theory to the test. “We are constantly told that there is no majority for no-deal in the House of Commons. But as the clock ticks down to Brexit Day on 29 March, there also appears to be no majority for any other outcome. Dr Aldiss made clear the food, agriculture and veterinary sectors were at particular risk from a no-deal Brexit. He said: “A rejection of the Prime Minister’s hard-won deal will have a devasting impact across countless areas of our economy and national life. Dr Aldiss, who also serves as Secretary General of the Union of European Veterinary Hygienists, said it was imperative for MPs to cast their votes in the national interest. He continued: “I was strongly opposed to Brexit and campaigned vigorously against it. But the potential damage any further delay to the Brexit process will cause has outweighed my huge reservations. “The real challenge will come after Brexit has happened and work begins on recasting our relationship with the EU in a future trading arrangement. “I’m sorry to say it, but too many of the ongoing Parliamentary skirmishes are about point-scoring and feeding egos. MPs have a duty to put the country’s future ahead of their own and support Theresa May’s deal. “Petty political game-playing could lead to the United Kingdom sleepwalking into a no-deal Brexit, which would be disastrous for generations to come. It coincides with the opening weekend of the Six Nations Rugby Championship, and all three games will be shown on a big screen including Saturday’s crucial clash between England and Ireland which kicks off at 4.45pm. Entry is just £5 each day and includes two drinks tokens. Further tokens can be purchased at the bargain rate of five for a fiver. A range of gins and ciders will also be available, together with hot food from the club kitchen. All profits will go towards the future development of the club’s facilities at its Nunroyd Park home in Yeadon, which will host the festival. Vanbar Associates delivers an extensive range of communications services including media relations, public affairs, crisis management, copy writing and event management to clients in the public, private and charitable sectors. The event is the brainchild of Rob Rattray, managing director of educational marketing and student outreach specialists Syno Limited, who also serves as a volunteer with Aireborough RUFC’s junior section. Rob said: “We’re immensely grateful to Vanbar Associates and all our sponsors for enabling the inaugural Aireborough RUFC beer festival to happen. “There is tremendous passion for rugby union in the area. We want local people to know we’re here and enable them to get involved with what we do. MPs must support Theresa May’s Brexit deal if they are to place themselves on the “right side of history” and avoid plunging the UK into a state of chaos, a prominent vet has argued. Jason Aldiss, Managing Director of Leeds-based veterinary services company Eville & Jones, made the call in advance of tomorrow evening’s House of Commons vote on the terms of the UK’s separation from the EU and accompanying political declaration which sets out what a future trade arrangement may look like. In a statement, Dr Aldiss said: “I have believed from the outset that Brexit is an act of folly that is bad for the UK and bad for the EU. But we have reached the moment of truth and it has become clear that Theresa May’s Brexit deal, despite its many imperfections, is the best and only option available to avoid plunging the country into a state of chaos. “I have also come to the conclusion that the Prime Minister herself is one of the few politicians who has acted with a sense of honour and duty throughout the Brexit process. “We are on the precipice of a desperately uncertain future and, despite that stark reality, too many MPs have been making calculations based on what they believe to be best for their personal political prospects or those of their party. Dr Aldiss, who is Secretary General of the Union of European Veterinary Hygienists, said that Brexit holds particular uncertainty for the veterinary profession, together with the food and agricultural sectors it serves. He continued: “Eville & Jones needs guarantees of post-Brexit access to highly-trained foreign vets to work in abattoirs and on farms, as well as lower skilled workers to fill other essential roles. “I had hoped that the Immigration White Paper would have provided some assurances on these matters but its publication has been delayed yet again. Lord Rogan has called on Ministers to fully implement the United Nations Sustainable Development Goals (SDGs) into UK Government policy. The 17 goals, set by the United Nations General Assembly in 2015, cover a wide range of social and economic development issues including poverty, hunger, health, education, global warming, gender equality, sanitation, water, energy, urbanisation, environment and social justice. Speaking in the House of Lords, Lord Rogan - who also serves as Deputy Lord Speaker - paid tribute to former Prime Minister David Cameron for his role in formulating the SDGs when he chaired a panel established by UN Secretary General Ban Ki-moon to advance the post-2015 development agenda. “These goals have the collective aim of ending extreme poverty, fighting inequality and injustice, and tackling climate change in the period to 2030,” he said. “And not only did Mr Cameron help to develop these admirable objectives, but he fought or them too. “He reminded the leaders of developed countries that they should deliver on their overseas aid spending commitments. Lord Rogan told peers that, following David Cameron’s resignation in July 2016, the focus of Whitehall and the wider British public had understandably been on Brexit. “But despite these distractions, it is vital that the United Kingdom remains to the fore of the effort to ensure that leaders across the world keep to the commitments that Mr Cameron rightly asked of them,” he continued. “And this is where I believe Brexit provides the UK Government, under a different Prime Minister in Theresa May, with a golden opportunity to lead the way. “It is unquestionably the case that, after leaving the European Union, the United Kingdom will be in search of new alliances and new partnerships, and not just in the area of trade. “As a nation, we do need to broaden our reach and our influence if we are to really punch our weight in the years ahead. Lord Rogan reminded the House that, following Donald Trump’s election as President, the United States had withdrawn from a series of international agreements. “President Trump has abdicated the position that his predecessors in the White House have traditionally held as the de facto Leader of the Free World,” he continued. “If the United States, in the short term at least, is refusing to set the standard for the nations of the world to follow, then we in the United Kingdom and our allies must not be found wanting. Cllr Shabir Pandor was joined by Cabinet Member for Housing Cllr Cathy Scott, Unity Chief Executive Ali Akbor and other senior representatives of the housing association. Nine family homes for affordable rent are being constructed on a former garage site on Quarmby Road. The land was owned by Kirklees Council before being acquired by Unity following a competitive process. The new development comprises six semi-detached two-bedroomed properties and three terraced houses with three bedrooms apiece. Each home will have a garden and private parking. Construction work on the project is due finish in the coming weeks with the first tenants expected to move into their new properties shortly afterwards. This is Unity’s second affordable homes development in Huddersfield. It also owns and manages a scheme of flats at Fartown. 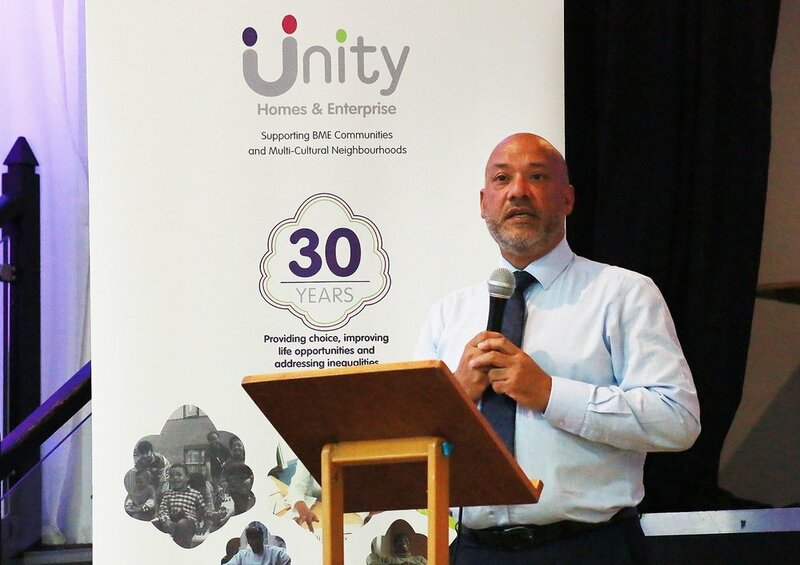 Ali Akbor, Chief Executive of Unity Homes and Enterprise, said: “Unity has a well-earned reputation for delivering the highest quality affordable homes. The new properties certainly meet that standard. “The internal fit out is now well underway. This will be followed by external works which includes pathways, fencing and turfing. “I have no doubt that the prospective tenants will be delighted with their new homes and we look forward to welcoming them into the Unity family. “We are proud to have played a part in improving people’s lives for more than three decades. Most of our work has focused on Leeds, but we are glad to be on the cusp of opening our second scheme in Huddersfield. Mr Akbor was accompanied on the site visit by Unity’s Director of Regeneration, Wayne Noteman, and Unity Board members Abdul Ravat and Shazia Khan. Cllr Shabir Pandor, Leader of Kirklees Council, said: “It was excellent. The properties are really good, very spacious and will meet the needs of our residents and communities. It’s a really inspiring development. The Quarmby Road scheme is the pilot project for Kirklees Council’s Small Affordable Housing Sites programme, which draws on the expertise and resources of registered providers to maximise the delivery of affordable homes in the district. Earlier this year, Cllr Pandor launched the Council’s ambitious plan to deliver 10,000 new homes by 2023. The Big Build is a comprehensive programme of proactive activity to increase the rate of house building across Kirklees by working with private landowners, major house builders, housing associations and small site developers to increase the supply of new homes. A leading Yorkshire vet has told a major international conference that Brexit has the potential to decimate the United Kingdom’s veterinary, food and agricultural sectors. Speaking at Visegrád Vet Plus near Budapest, Dr Jason Aldiss said that the UK will be “in deep peril” if a post-Brexit deal with Brussels does not include guaranteed access to properly-qualified vets from other EU states and mutual recognition of professional veterinary qualifications. Dr Aldiss, Managing Director of Leeds-based veterinary services company Eville & Jones, said: “There is already a veterinary recruitment and retention crisis in the UK, and that problem is getting worse. Currently 45 per cent of British Government Veterinary Services posts are filled by vets from other EU member states. 95 per cent of Official Veterinarians are non-UK EU vets. With less than six months to go until Brexit, there is still no guarantee than these individuals will be allowed to remain in post. He said: “If the UK is to trade with Europe, it must maintain EU standards at the very least. That means veterinary services must be properly funded to ensure high standards of animal welfare, animal hygiene and public health. “All trade in products of animal origin requires veterinary certification – which obviously requires vets. Without proper access to well-qualified veterinary professionals, UK-EU trade will be impossible. That would inevitably lead to a scenario where food is left to rot at ports or animals destroyed by the side of the road. It may sound dramatic, but it is the stark truth. 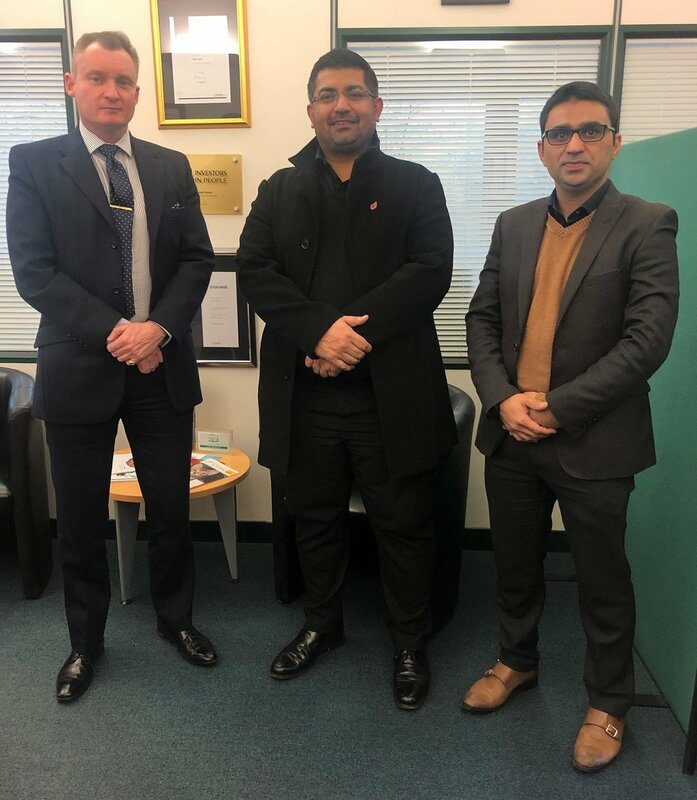 He said: “The MAC recently presented a report to British Ministers which recommended that the Government removes the cap on Tier 2 working visas for highly-skilled migrants, currently set at 20,700 each year, which would make it easier to recruit foreign vets. This is a step in the right direction, but no more than that. “The MAC is also in the process of completing a separate report on which professions should be included on the Shortage Occupation List of high demand employees, again removing barriers for employers to recruit appropriately qualified staff from outside the UK. Vets do not currently feature, and it is time that they did. “The simple fact is that the current British immigration system is not fit for purpose and certainly not for brave new post-Brexit world that Leave campaigners promised. “We must allow skilled migrants to come to the UK and bring benefit to our economy. Further, we should permit quotas of unskilled migrants to work in sectors where their labour is desperately required. The Chief Executive of Unity Homes and Enterprise has challenged Government ministers to draw on the experience and expertise of the housing association sector to tackle the national housing crisis. Ali Akbor, who has led the Leeds-based housing association for almost two decades, told its Annual General meeting that Whitehall could not solve the housing shortage on its own. Mr Akbor told the audience of Unity partners, tenants and special guests that the association had enjoyed another successful year, including the completion of 58 new properties and the acquisition of a further 22, taking the number of affordable homes under its ownership to more than 1,300. Unity Enterprise, its not-for-profit subsidiary company, opened a new incubator in partnership with iota Business and Unity Employment Services helped almost 300 people to find work or improve their skills. The association has also been shortlisted for three national housing awards. This year’s Unity annual report had a First World War theme, in recognition of the forthcoming Armistice centenary and in tribute to the vital contribution of BME Commonwealth soldiers in that conflict and since. Special guest speaker Colonel Karl Harris told the audience about the positive good work being done by the British Army’s Black, Asian and Minority Ethnic Network, which he chairs. And Lucy Moore, First World War Projects Curator at Leeds Museums and Galleries, gave a wide-ranging presentation on her research into the life of Bengali-born Jogendra Nath Sen.
A Leeds housing association will pay tribute to the bravery of black and minority ethnic Commonwealth soldiers in the First World War at its Annual General Meeting. Unity Homes and Enterprise - based in Chapeltown – has themed next week’s gathering to coincide with the centenary year of Armistice Day. It will be addressed by Colonel Karl Harris, Chair of the British Army’s Black, Asian and Minority Ethnic Network, which aims to help inform, support and inspire men and women from ethnic minorities. Colonel Harris recently completed a year-long deployment to Iraq as the United Kingdom’s Special Defence Adviser to the Ministry of Peshmerga, supporting the Kurdistan Regional Government’s Peshmerga Reform Programme. 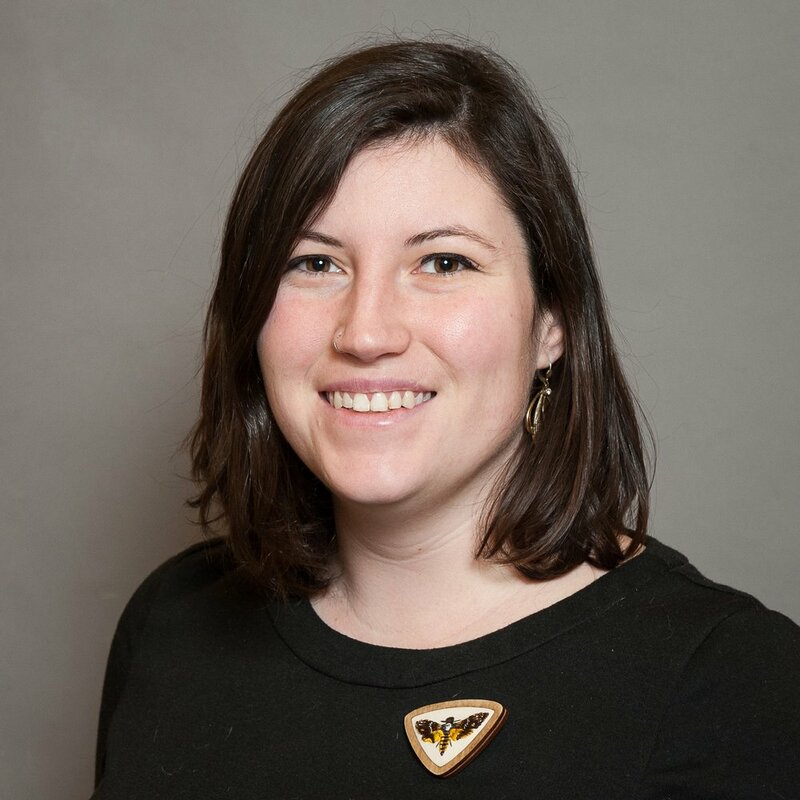 He will be followed by Lucy Moore, Projects Curator: First World War for Leeds Museums and Galleries. In 2017, Lucy received a grant from the British Council to visit India to research the life of Jogendra Nath Sen, a Bengali-born member of the Leeds Pals battalion. She is publishing more about his life in “The Leeds Pals: A Handbook” which is due out shortly. The meeting, which will be held on Tuesday (25th September) at The Sheepscar in Chapeltown, will begin with a performance from leading Bradford south Asian arts organisation Kala Sangam, which specialises in Bharatanatyam dance and Carnatic music. Last year, Unity’s 30th anniversary AGM featured the late Baroness Brenda Dean, former Chairman of Housing Corporation, as keynote speaker. In 2017, Lord Patel of Bradford addressed the meeting held at Headingley Cricket Ground as a curtain raiser for a special inter-faith match between Mount Cricket Club, a team of Muslim players from Batley, and St Peter’s XI, the Vatican’s official cricket team. Ali Akbor, Chief Executive of Unity Homes and Enterprise, said he was hugely looking forward to the event which would also celebrate the association’s achievements over the past 12 months. He commented: “Unity has had a particularly successful year as evidenced by our recent shortlisting for three national housing awards. “Our key strategic role is to increase affordable housing and we have just added a further 58 completions through our affordable homes development programme. “But Unity remains strongly of the view that the regeneration of the communities we serve means creating life opportunities as well as building high quality housing. To that end, we were delighted to open a new incubator at Unity Business Centre, one of three sites operated by our subsidiary company Unity Enterprise. Mr Akbor said he was excited to welcome an “outstanding” line-up of speakers and performers to the AGM. He continued: “We gave careful consideration to the theme for this year’s event. To mark 100 years since the end of the Great War, we believe it is reflective of our roots as a BME-led organisation to highlight the heroism of black and minority ethnic soldiers in that terrible conflict whose contribution is sometimes forgotten amongst the many who lost their lives. 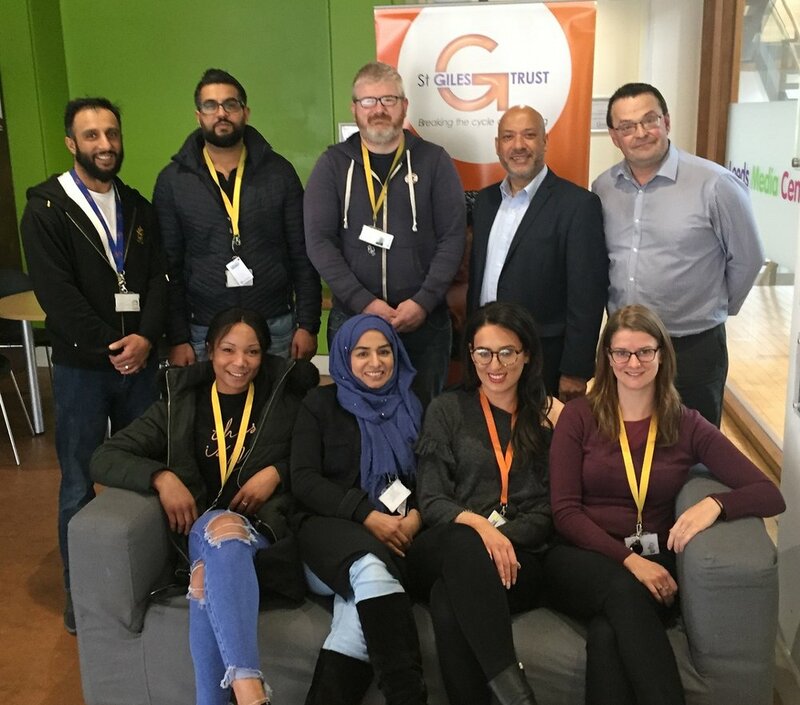 BME-led housing association Unity Homes and Enterprise has received national recognition for its work after being shortlisted for three prestigious 24housing Awards. Unity, which has its headquarters in Chapeltown close to Leeds city centre, has been singled-out in the ‘Community Achievement’ and ‘Customer Services Provider of the Year’ categories. The winners will be announced on 18 October in an evening of celebration at the Ricoh Arena in Coventry. Unity was formed in 1987 with the objective of building a strong, BME-led, community housing association to address the needs of black and minority ethnic communities in Leeds. It now manages 1,300 properties for tenants from all communities and ethnic backgrounds. Construction is also underway on its second affordable housing development outside the city. In 2000 the association established a subsidiary company, Unity Enterprise, to support local entrepreneurial activity. Unity Employment Services was set-up in 2011 to help Unity tenants and their surrounding communities to access employment and training opportunities. Mr Akbor said: “On behalf of all staff, I am absolutely thrilled that our work has been acknowledged in this way. “The nomination for ‘Community Achievement’ is a direct result of the hard work put in by our Employment Services team which last year helped 366 people into training, employment and volunteering. “The shortlisting for ‘Customer Services Provider of the Year’ is a true group effort with Unity employees at all levels playing their full part. Mark Lawrence, editor of 24housing Magazine, said: “Every year the number of nominations increases and the standard gets higher. “Every organisation that has been shortlisted has showcased the amazing work they have been doing to improve the lives of their tenants and the communities they serve. “The judges now have the hard task of choosing the winner in each category. Using a process known as hydroponics in which plants are grown in sand, gravel, or liquid rather than soil, Growing Better remains sustainable by selling its impressive range of healthy micro greens and shoots - including basil, broccoli, pea shoots and celery leaf - on the open market. "Our indoor, hydroponic vertical farm at Unity Business Centre is a first-class facility. We share the building with many other fledgling businesses which enables us to exchange ideas and take part in on-site seminars and other enterprise-focused events. “Rob and his team have brought fresh thinking – as well as fresh produce - into the exciting and dynamic environment that our clients enjoy across all three of our centres. This atmosphere of boundless positivity has enabled an ever-increasing number of inner city enterprises and voluntary sector organisations to grow and prosper.